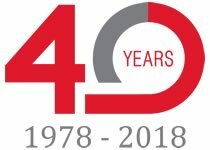 Noel Fitzpatrick Ltd has a history and wealth of experience in both plant hire and civil engineering that is over 40 years old. Our ability to respond quickly to our customers' demands through the provision of modern well-serviced equipment, combined with a highly qualified flexible work force, ensures that our formidable reputation for quality and reliability has been maintained. Established in 1972 as a plant hire company, Noel Fitzpatrick developed the business further and entered the field of civil engineering. In 1978, the business was incorporated and has since developed a wide client base that supports various sectors of industry with blue chip companies such as Tata Steel UK Ltd, HMP Services, Ministry Of Defence, BAM, Costain, Canal and River Trust and Severn Power among them. We are also on the approved list with all the Unitary Authorities and the NHS Trust and are certified to ISO9001:2015. Today, Noel Fitzpatrick Ltd has the skills and expertise to provide a superior range of services to the construction industry. These services include operations such as: general civil engineering; demolition; landscaping; gas and water engineering; and plant hire. Offering a truly unique service to industry, we meet our customers' needs by adopting an integrated team approach. We work with our clients meeting their aims and objectives through quality assurance at source, problem solving on site and a local office network that provides single point contact and administration. Our Customer Satisfaction Questionnaires illustrates excellent feedback by clients with ratings scoring on average over 9 out of 10. See our recent customer satisfaction feedback here. With a turnover of more than £2.5 million, we are in an ideal position to be placed at the forefront of product development. The company adapts to the ever-changing trends by investing and then, consequently, being able to hire out new machinery, equipped with the latest technological advances. 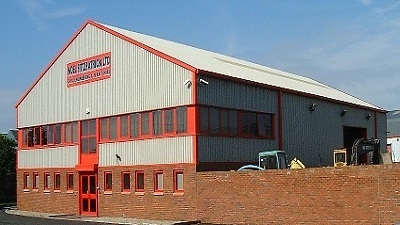 Evidence of the company's success can be found at our modern and energy efficient purpose built offices, workshop and holding area situated on the East side of Newport, at Langland Way, Reevesland Industrial Estate, Newport. We have also recently started construction on our own Waste Processing and Recycling Plant in Newport to enable us to process and re-use as much of our own site waste as possible, minimising the environmental impacts of our activities. From our current position we are well placed to expand into the twenty first century whilst contributing to and benefiting from the rapid growth of the South Wales and West region. For more information on our products and services please see our Civil Engineering and Plant Hire pages or Contact Us.